My sister in law made this dip for a Christmas party and it was love at first bite for me! I am warning you though, it is very addicting! You will not be able to dip just one chip and be done. I think it tastes a lot like a 7-layer dip. However, it is a lot easier to make. It does make quite a bit, so plan on having a big bag of tortilla chips to go along with it. 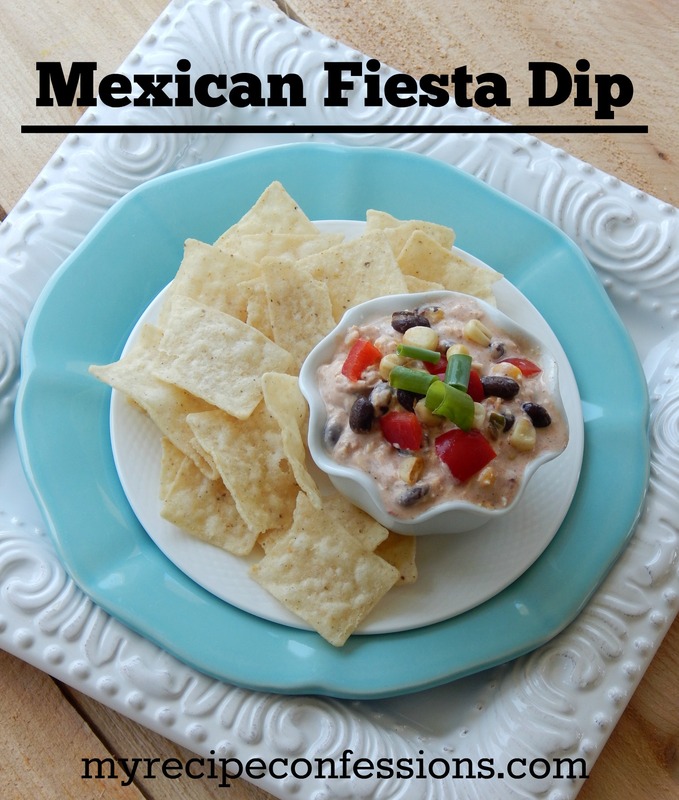 It is one of those dips that you can quickly throw together in a pinch and it will still be the hit of the party! Don’t you just love those kind of recipes? I know I do! 1. Cream the sour cream and cream cheese together in a medium-sized bowl. Add the remaining ingredients together and mix well. 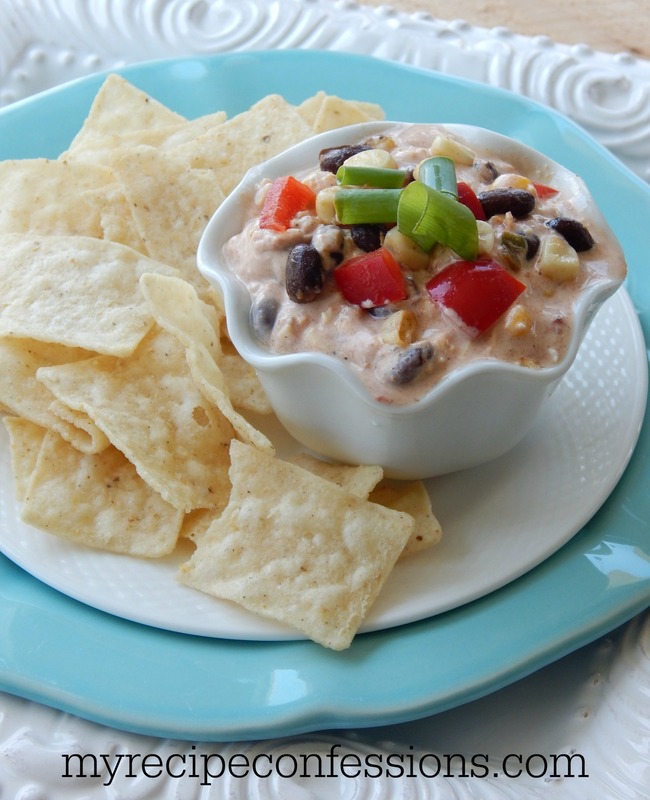 Serve with a big bag of tortilla chips or crackers.